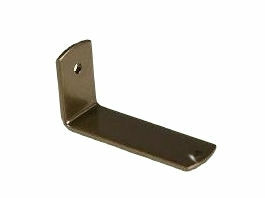 This Bracket allows the “C” ring curtain rings to pass over, 2 are required per join one placed each side of the join. This is most useful if you a curtain rail longer than 2.4 metres long and only wish to have one curtain. Should you need the wooden dowel to insert in the pole this is supplied free on request.